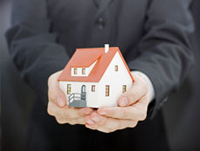 Eastern Shore Property Management, Eastern Shore Property Managers, Eastern Shore, MD Property Management Companies. We offer a full range of Eastern Shore property management services tailored to you as an investor, homeowner, or landlord. 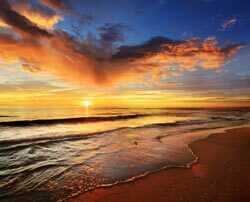 We have an extensive portfolio of single family homes, townhouses and condos in the Eastern Shore from Salisbury to Sussex county Delaware area. Our team has a full staff of experienced property managers ready to cater to your Eastern Shore from Salisbury to Sussex County Delaware property management needs. Our team, combined with Long and Foster Property Management, provides the perfect resources. Our advanced internet marketing and excellent customer service has created the area’s premier property management experience. Please let us know your property management needs and we can explain how our agents will lease, manage and protect your property so you can immediately enjoy the return on your investment. Efficient property leasing. We have a full team of experienced agents and marketers who will work quickly to find and screen tenants for your property. Once your new tenants are in place, our administrative staff will handle any needs that may arise. Statements Available Online, 24/7. Check your account at any time from any computer, tablet or mobile device. Easy-as-Pie Rent Collection. We make paying rent as simple as possible. Your tenants can pay online any time of day and can check their accounts at any time. We Take the Headache out of Maintenance. We arrange service calls for you and pay vendors directly from your account. Your statements will clearly list all expenses, so you won’t have to bother with separate accounting. Our goal is to accommodate your needs and simplify property ownership so you can use your own vendor recommendations or ours. Powerful Marketing. Nine out of ten people look to the Internet when they’re searching for housing. When you list with Long and Foster, your property will receive unmatched exposure since our listings appear on 80+ websites, including our Facebook page. Brandon knows and respects the intricate details of successful property management since he has been both a landlord and owner of a successful property-management company (now merged with Long and Foster). And as an Eastern Shore native, he knows our area inside and out. You can trust Brandon and his teams to expertly market, manage and protect your property––exceeding your expectations and those of your tenants every step of the way. 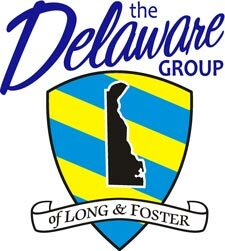 The largest privately owned real estate company in the mid-Atlantic, Long and Foster has been a leader in the property-management business for over 40 years. With its outstanding reputation, global marketing tools and established team of real estate professionals, Long and Foster offers property owners a level of service and satisfaction which other companies can’t match. 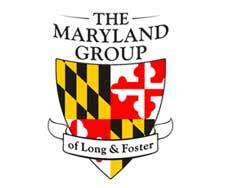 Call Brandon Brittingham at Long and Foster Property Management today: 240-315-7222 or 443-783-3928. Don’t forget to visit and like our Facebook Page where we post and advertise our listings! Accomac Shire was established in the Virginia Colony by the House of Burgesses in 1634 under the direction of King Charles I. It was one of the original eight shires of Virginia, and consisted of the whole Eastern Shore. The shire's name comes from the Native American word Accawmack. In 1642, the name was changed to Northampton County by the English. In 1663, Northampton County was split into two counties. The northern two thirds took the original Accomac name, while the southern third remained as Northampton. In 1670, the Virginia Colony's Royal Governor William Berkeley abolished Accomac County, but the Virginia General Assembly re-created it in 1671. In 1940, the General Assembly officially added a "k" to the end of the county's name to arrive at its current spelling, which is Accomack County.